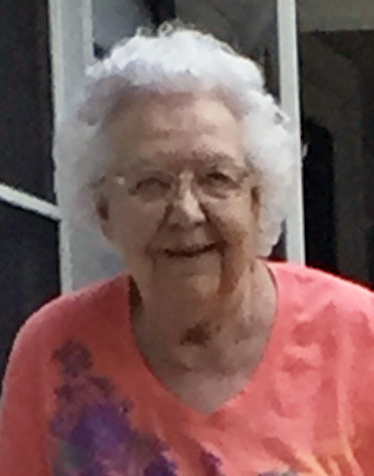 Beulah Mae Johnston, 87, of Williford, AR, died Sunday, March 24, 2019, at Russellville Nursing & Rehabilitation Center in Russellville. The daughter of Leland and Mary M. (Caughel) Westphal, she was born August 19, 1931, in Bridgehampton, Michigan. She was a homemaker and a member of Lighthouse Baptist Church in Williford. She enjoyed knitting & crochet, growing flower & vegetable gardens; and spending time with her family. She was preceded in death by her parents; her loving husband of almost 69 years, Robert James Johnston; three sons, David J. Johnston, Robert C. Johnston, and Randy L. Johnston; and one daughter, Peggy (Johnston) Miller. She is survived by her daughter, Mary Jenson (Cort) of Portsmouth, VA; her grandchildren: Laura Jensen Ragan (Mike) of Portsmouth; Robert Miller (Jessica); Melissa Vaughn-Miller (Jason) of Dover, AR; Tiffiny Johnston Lopez (Christopher) of Grand Blanc, MI; Brandon Jensen (Citlalli) San Diego, CA; two daughters-in-law, Terry Johnston of Flint, MI; and Sherlene Johnston of Horseshoe Bend, AR; a son-in-law, Shelby Miller of Puyallup, WA; and many nieces & nephews. Cremation arrangements are under the direction of Humphrey Funeral Service. In lieu flowers, memorials can be made to: River Valley Food Bank, 880 Tyler Road, Russellville, AR 72802. A private family memorial service will be planned at a later date. Internet obituary and on-line guest book are available at www.humphreyfuneral.com.